This is the word my step daughter A used to describe the days she has spent with us and my boys gave alternative such as great, fun, awesome, mad and splendid. It’s been half term this week in our house and so far the weather hasn’t been that great. We all know how stressful and frustrating it is when it rains during the school holidays. Luckily this week I got my ahead of myself and managed to check the weather on my iPhone app and plan activities accordingly. Which is very unlike me. Organisation is not a strong suit of mine (although I do try). 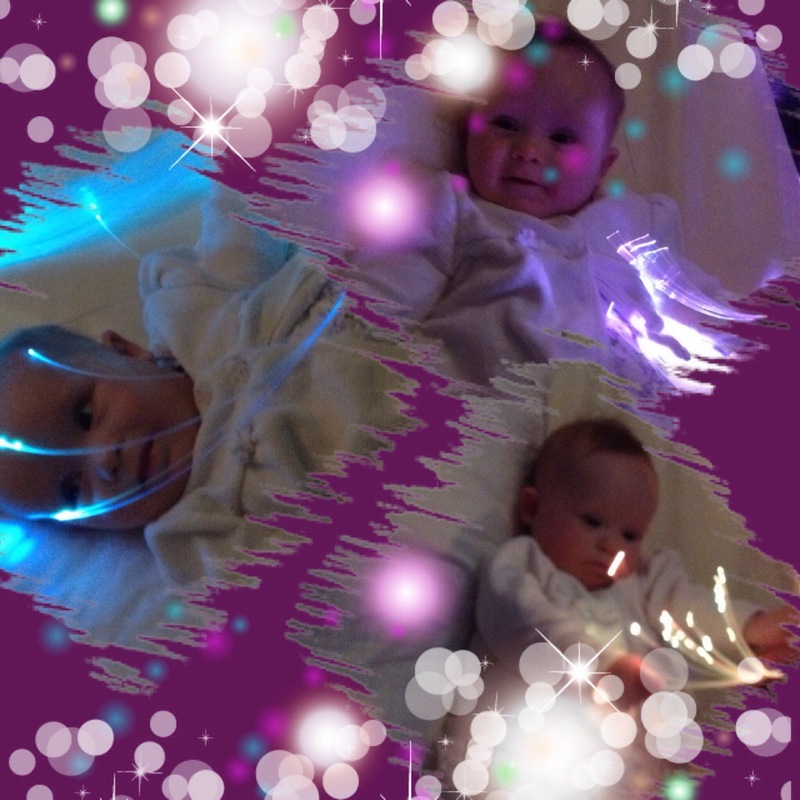 So my task for this week was to come up with fun ideas to keep all the kids entertained but across age range 0-9years. We just relaxed the first weekend cause the weather wasn’t too bad the older kids got to ride their bike and played in the garden. 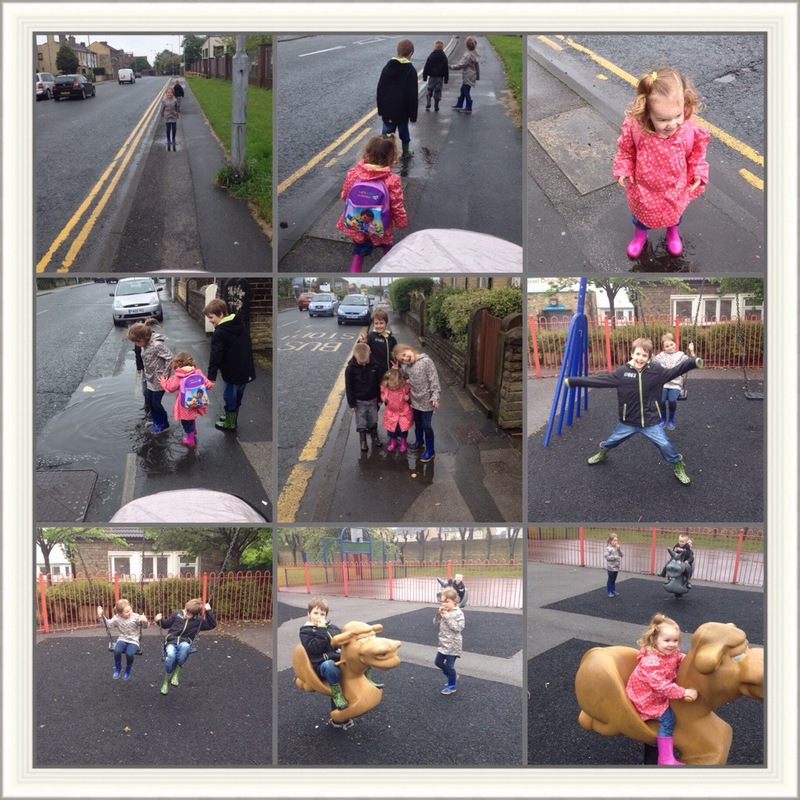 Our half term fun started on Monday. Where we all split up into different groups. 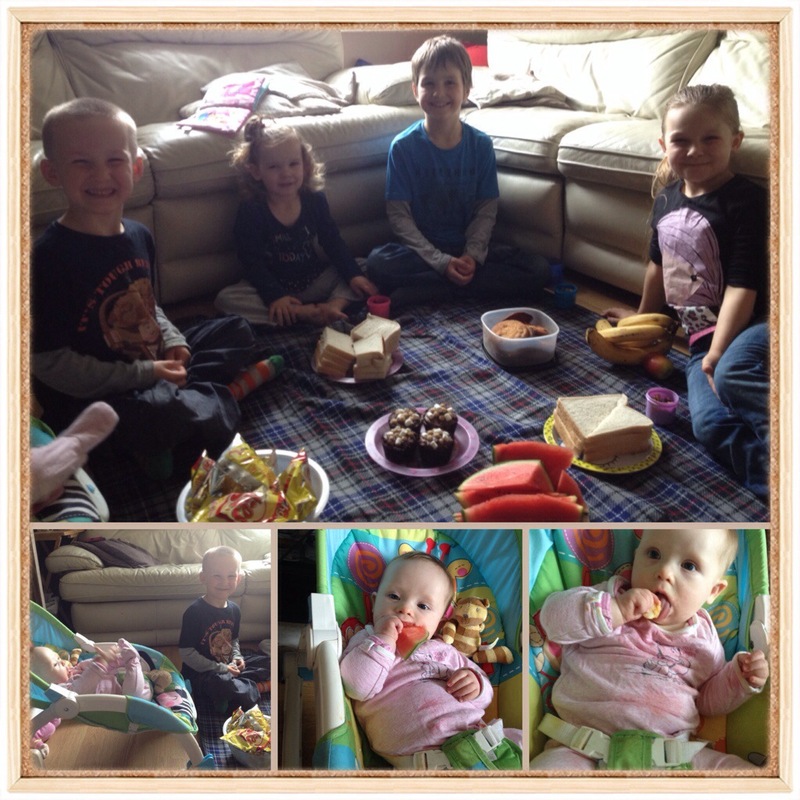 T went on a long bike ride through the woods with hubby and his friend, P went to my sister to play with my nephews and A, E, Ivy, grandma and I went to a sensory Leeds. Tuesday was the only nice day we have had all week so far. So we woke up and made chocolate chip pancakes for breakfast (T and E helped) before the older 3, grandma and I went on an adventure to dinosaur discovery and the local garden centre. 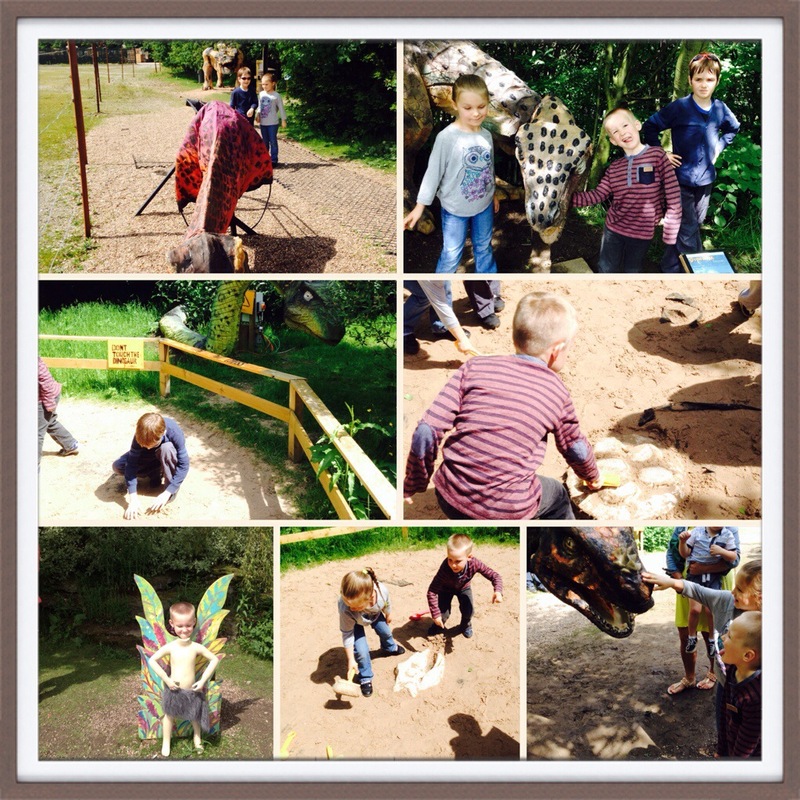 They had great fun exploring, digging and finding out about dinosaurs. They had little dinosaur suit they could put on and pretend to be dinosaurs. 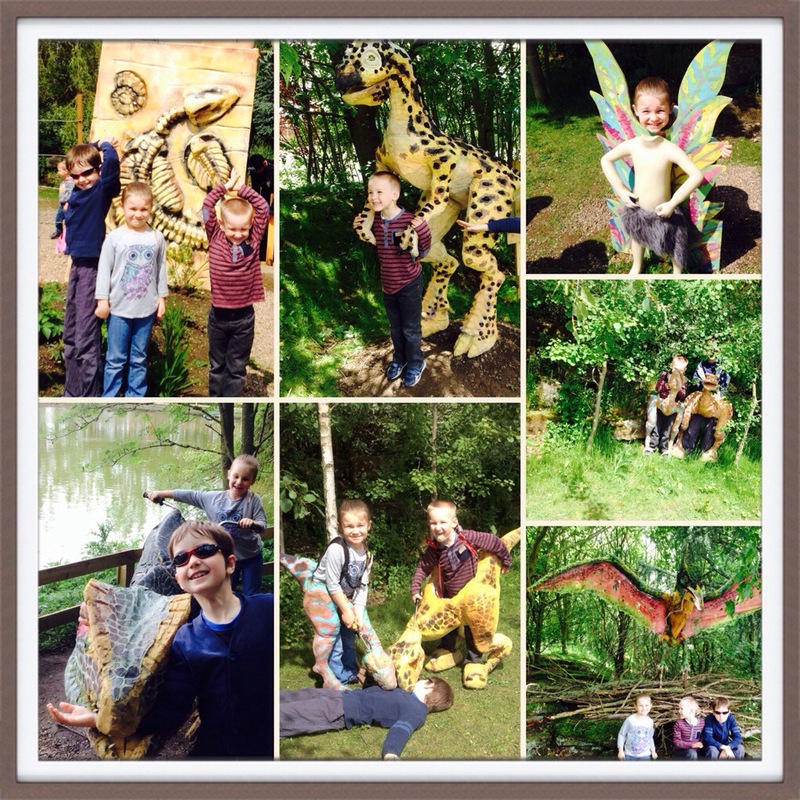 The kids loved the dinosaur head you could move around and pretend to eat the wild life, shrubberies and grandma! We then went home and baked some more. 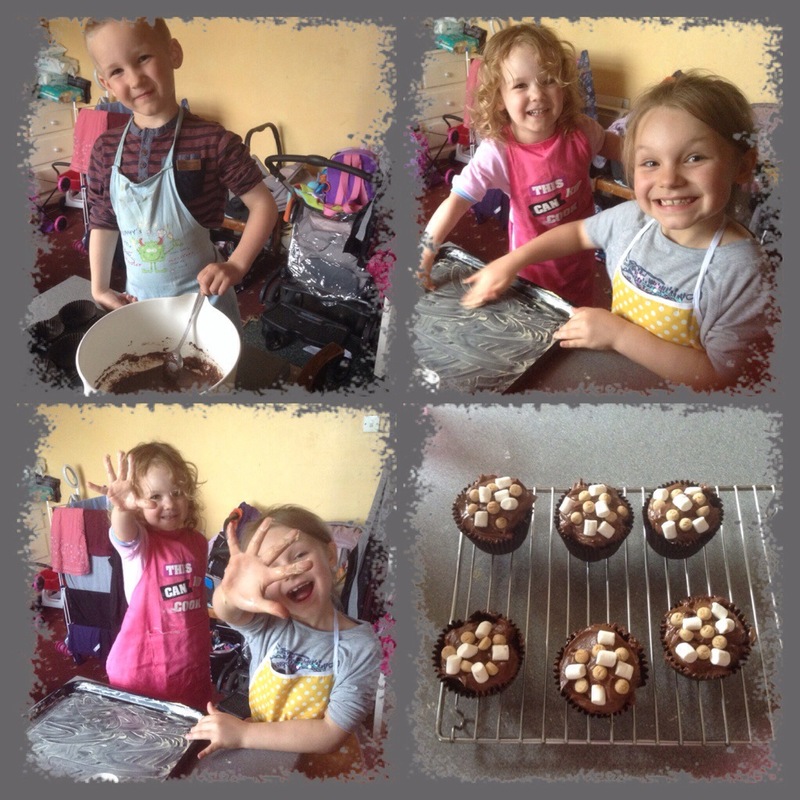 We did a prepacked box of rockie road buns and some chewy smartie cookies with a recipe I got from Netmums. Wednesday it was raining so I made some homemade play dough and I let the kids have fun while I prepared an indoor picnic for us to have in the living room (since we couldn’t have one outside). Even Ivy managed to join in and have a few bits to gum to death. 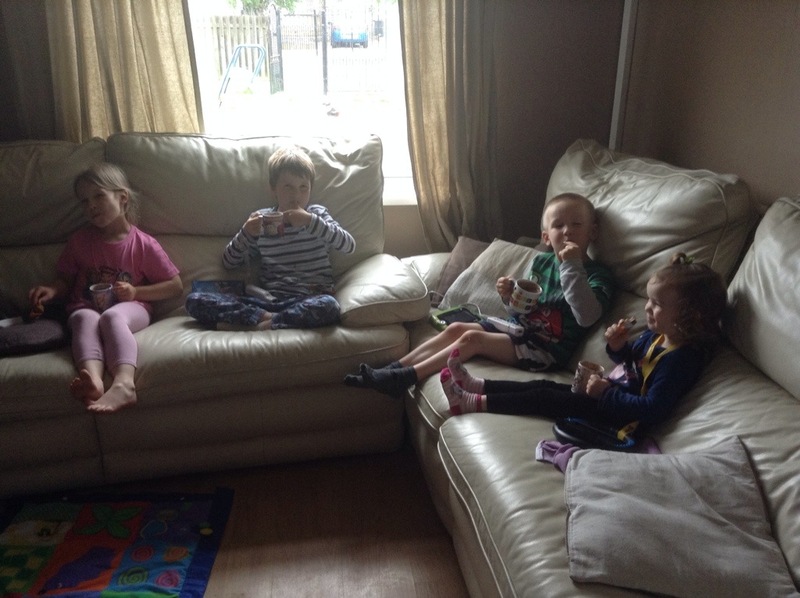 We finished off the day watching film and chilling out. Thursday, I needed to get out of the house. So we all went to the local indoor play area Funsters where we go on a regular basis. Mainly because the kids needed to run around and blow off steam. I talked the kids into wearing their wellies to the play area, so that on the way home they could jump in puddles and have some simple childhood fun. Clearly the kids burnt off any left over energy on the walk/play home. It was at this point that A came up with this brilliant word Magnificent and I loved it. so when we got home we got changed and enjoyed sound hot chocolate to warm us through after all the wet fun. I then let the older 3 play on the Wii, while E and Ivy played with their toys on floor. That leads us to now. I have some plans for tomorrow but it depends what happens when we get up. That may be a future post. This week has been great fun though even if it has been busy and I must say the word magnificent fits because the tribe have played nicely and got on well. We have managed to do so much and enjoy every second of the time we have had together. I am actually a little sad for it to be over in the next couple of days but will also be glad to get back into my normal routine. Thank you. It did make life so much easier being organised and I too am getting better at it just depends on how much my hubby or kids throw scanners into the works to how long it will last. The kids have asked for a do nothing day today. Which after our week I think we all deserve. A agree with your step daughter, what a magnificent day! 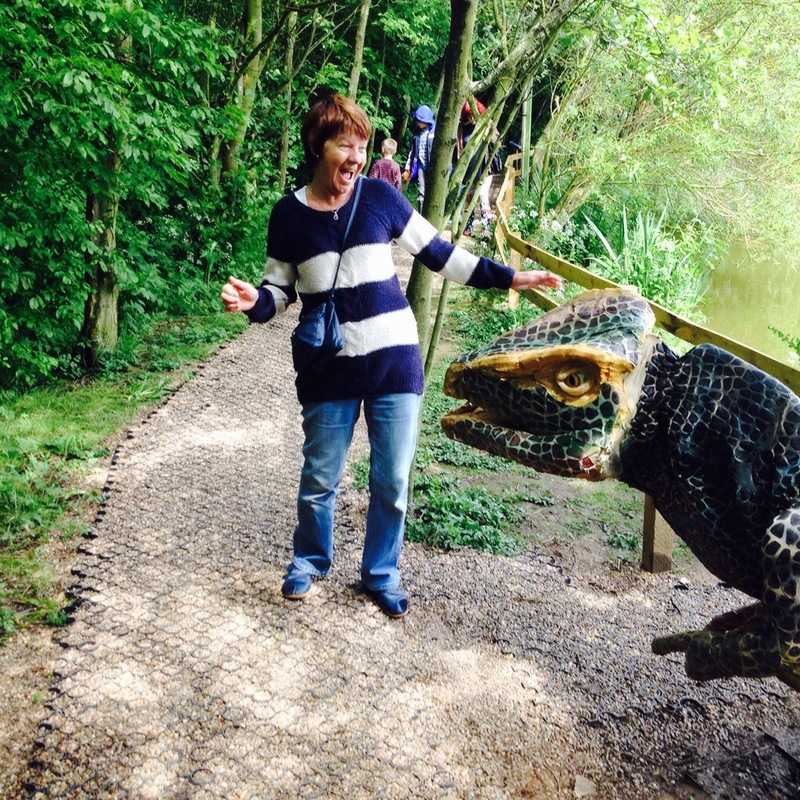 A lovely week with so much outdoor fun, I love the look of the dinosaurs, what an awesome garden centre. 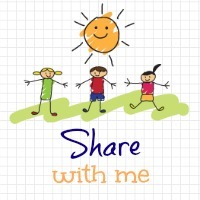 Thank you for linking up with Country Kids, just snuck in as my last entry of the week. 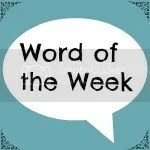 What a fab week and a fab word!! Lovely photos! Thank you, it really was a great week! That word is entirely appropriate! That sounds like a perfect fun week for half term. I love the smiles on their faces after making the cakes. The dinosaur garden centre looked fab too.